I promised myself I wouldn't do this, but when I heard this track.... rules are made to be broken aren't they? The Kills are performing at SXSW this year and a video of them performing a new track "Baby Says" has come to light. If this track, "DNA" and "Satellite" are anything to go by, Blood Pressures is looking like a winner. 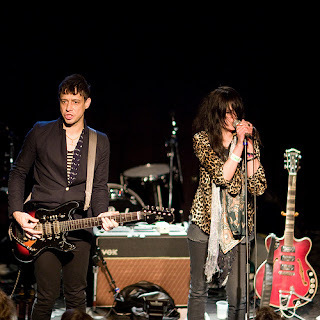 This is for any fan of The Kills who couldn't make SXSW. Enjoy!